There is no place on Earth that is more dangerous than Rifts China. The Yama Kings war among themselves in an eight-way battle to conquer all of China. Eight of the ten Chinese planes of Hell have manifestations in China. Elder gods and spirits have returned, ghosts walk the earth, spirits torment everyone and trouble lurks behind every corner. The only safe havens are dragon strongholds, sacred lands, and places the Celestial Court hides from the Yama Kings. And there are other people and powers afoot in China. Rifts® China One presents the bad guys, introduces the setting and sets the stage for adventure. Rifts® China Two presents the good guys, heroes, avatars of the gods, and more weapons, background and adventure ideas. 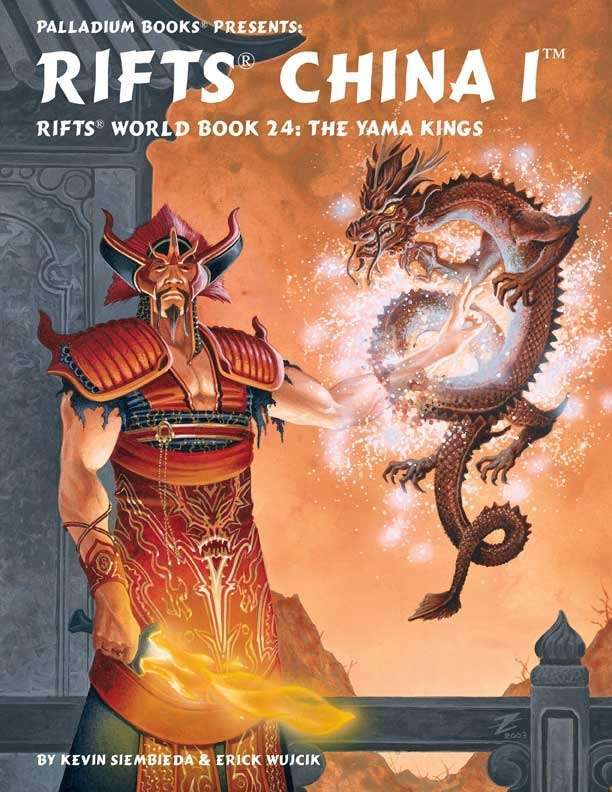 Overview of Rifts China and the Yama Kings. The return of the First Emperor and the Terra Cotta Warriors. Dragonlands, sacred mountains, magical places and more. The eight Hells on Earth, conflicts, key people and places. Ideal for use with Rifts® Japan, Warlords of Russia™ and Mystic Russia™. Written by Erick Wujcik & Kevin Siembieda. 160 pages of ideas, monsters and magic.